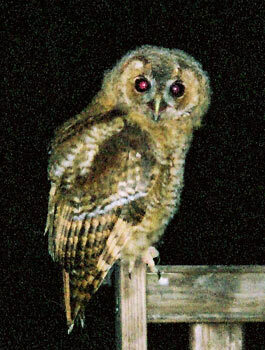 Most evenings a pair of owls frequent the Little Orchard grounds. The picture (left) was taken by P A Harman. The picture was taken using flash, but even this did not deter the bird, it just continued to sit on the seat right outside the chalet.